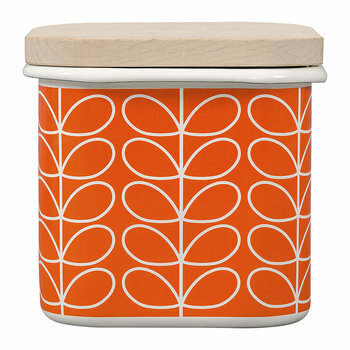 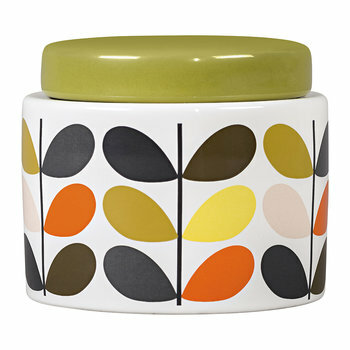 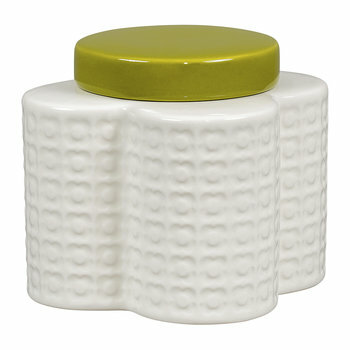 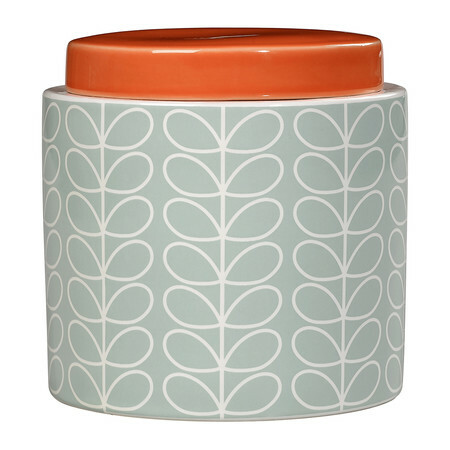 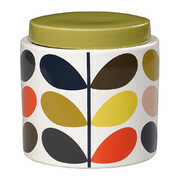 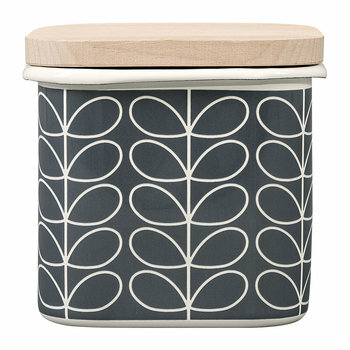 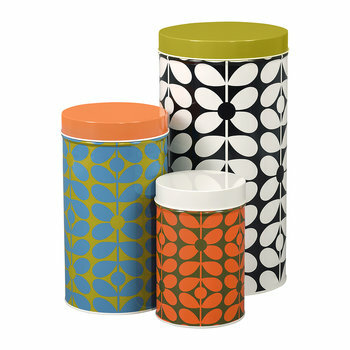 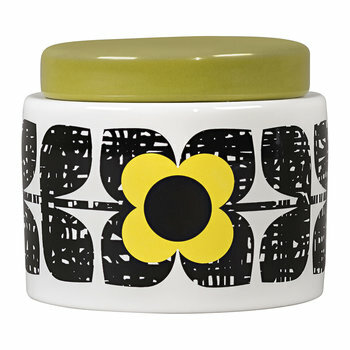 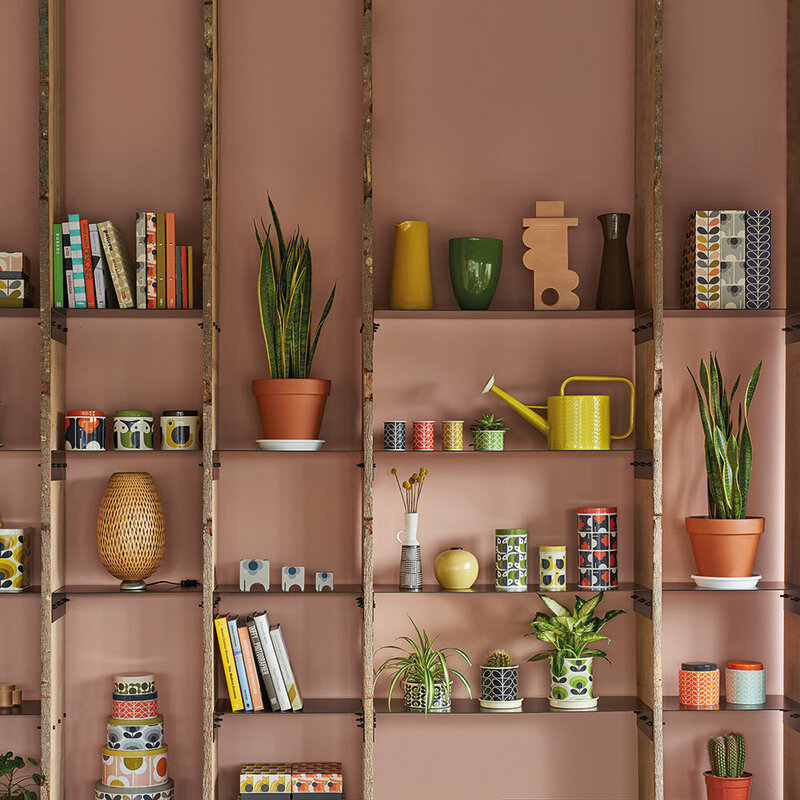 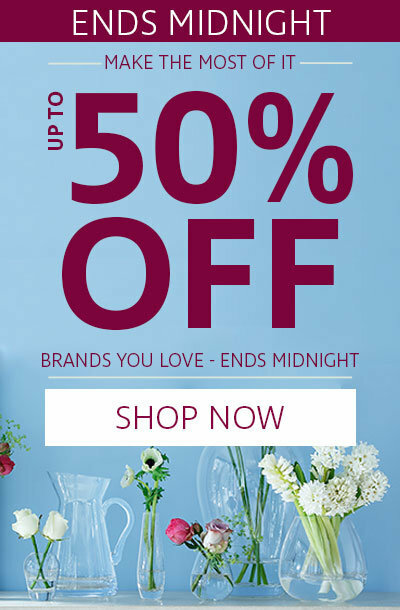 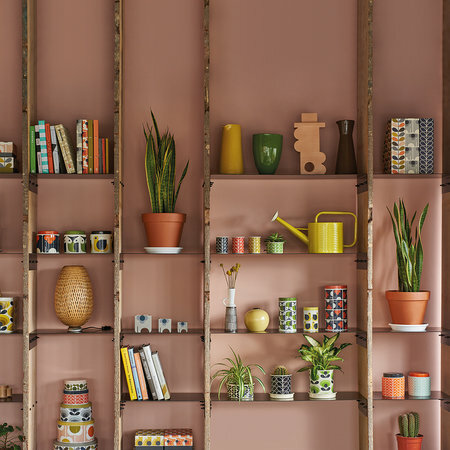 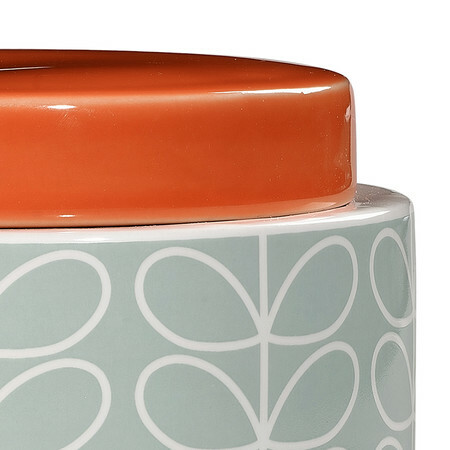 Create a retro interior setting with this Linear Stem storage jar from Orla Kiely. 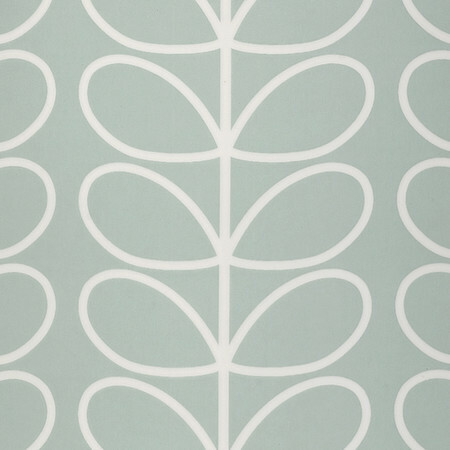 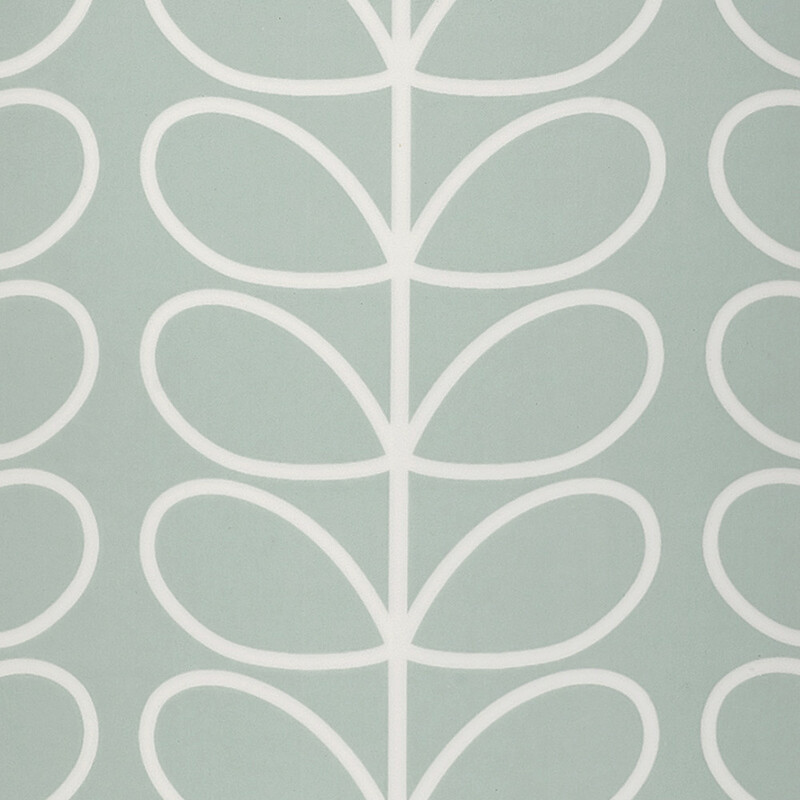 Made from ceramic, it features one of the designer’s most iconic designs, the Linear Stem print, in a chic duck egg blue colour. 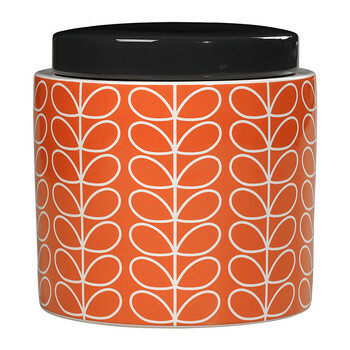 Finished with a bright orange lid, it complements a wide range of kitchen interiors.